When someone asks you what the average Thai classroom is like, do you say it’s a place full of frenzied students working together to solve real-world problems and then begging their teacher to give them just five more minutes to perfect their work? Probably not. But this is the type of educational environment that Thai children need to succeed in the Industry 4.0 era. Fortunately, Kenan Foundation Asia offers STEM (science, technology, engineering and math) Camps that enable students to step outside the confines of the classroom to go on an action-packed, 21st century learning adventure. So what exactly makes Kenan’s Innovation Camps so empowering? Let’s have a look. The first thing you notice at a Kenan Inspiration Camp is the innovative, student-focused approach to learning. In the traditional classroom, students passively sit listening to their teacher read from a textbook, whereas, in a Kenan Inspiration Camp, they are actively involved in hands-on, group-based activities about essential concepts like force and motion, Pythagoras' theorem, electricity and numerous other interrelated components that fall under the STEM umbrella. Kenan’s education experts use high-impact learning techniques to help children master key concepts from the Thai curriculum. By engaging students in a series of fun, immersive and relevant activities, Inspiration Camps build a foundation for students to have immediate success in the classroom and encourage them to pursue pathways to a 21st century career. Contact us today by completing the form on this page to learn more about Kenan Innovation Camps. A popular activity, known as “Hit the Target,” asks students to construct a catapult using a random assortment of materials, such as popsicle sticks, cardboard and rubber bands, that can launch a ping pong accurately at a target five meters away. Students have to apply civil engineering, geometry and physics to complete this simple yet challenging activity. 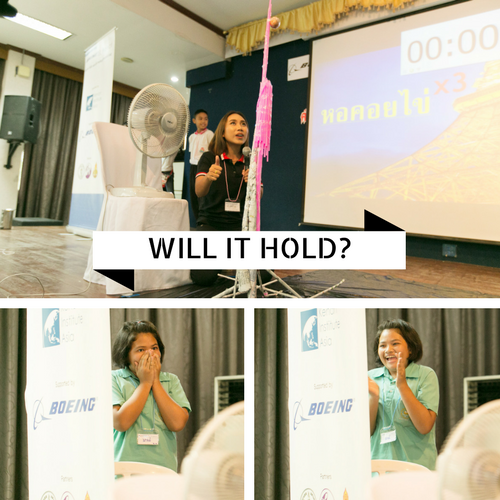 Would you be able to take some newspaper, straws and tape to construct a meter-tall tower with the strength to hold an egg at its peak in the face of strong gusts of wind? Well, that’s exactly what kids successfully do at Kenan Innovation Camps. In addition to learning about structural engineering, students strengthen key 21st century skills, such as problem solving, teamwork and creative thinking, through this activity. The “Egg Tower Challenge” shows time and time again what children are capable of when given the space to create, make and innovate. In another activity, students learn about electricity and energy currents by building their own solar-powered cars. Students discover that they can use photovoltaic (PV) cells to convert the sun’s abundant energy into electricity that can serve a variety of purposes, including fueling their hand-made vehicles. Indicative of the integrated-nature of STEM, “Racing with the Sun” calls on students to use geometry, physical science and measurement in a friendly competition to see which group can build the fastest vehicle. Click here to learn more about Kenan's Innovation Camp Model. 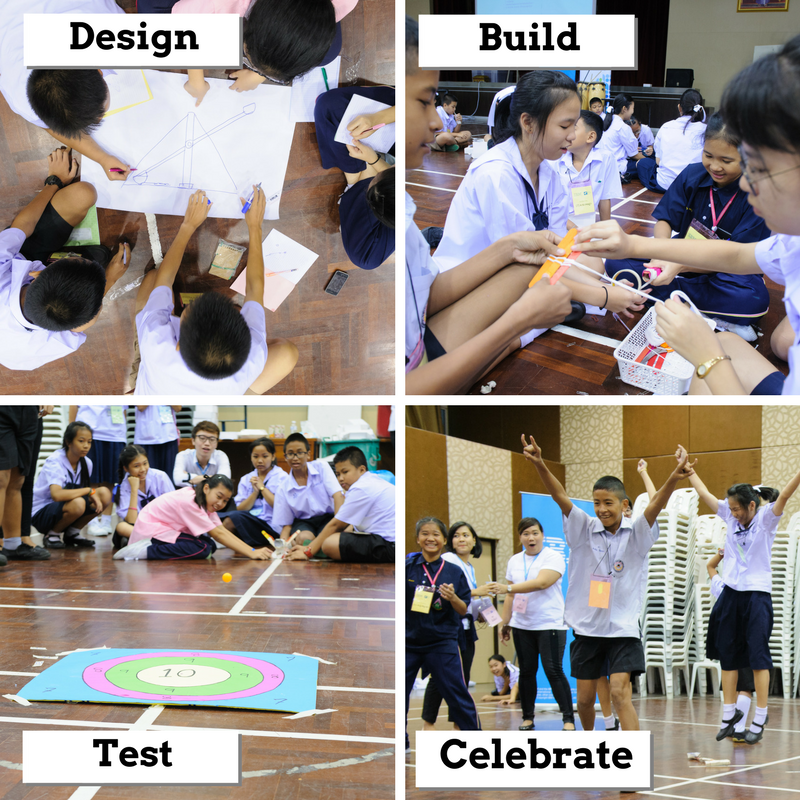 Kenan’s Inspiration Camps are one-day voyages full of fun, hands-on activities, like the ones described above, that empower students with core knowledge related to the Thai curriculum and key 21st century skills. The fast-paced, immersive environment helps Thai kids expand the boundaries of what they thought possible. After attending a Kenan Innovation Camp, one of our students, Pongsapak, said that “I wish other students had the same chance to join this kind of event.” You can learn read Pongsapuk's story, here. 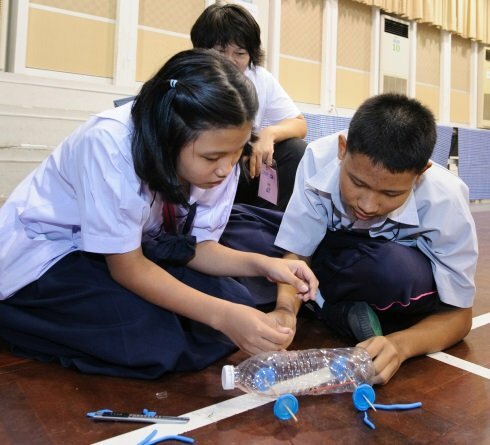 By supporting an Inspiration Camp, your company can make a meaningful impact on the lives of Thai students and contribute to building a more competitive society in the Industry 4.0 era. Click here to learn more from Dr. Omjai Saimek, one of our key government partners. You can learn more about the benefits of corporate Innovation Camp sponsorship here, or contact us directly to become involved in supporting 21st century education in Thailand by filling in your contact details in the form on this page.